Easiest way to start a gluten-free diet. A must have for anyone looking to start a gluten-free diet! Struggling to start a gluten-free diet? 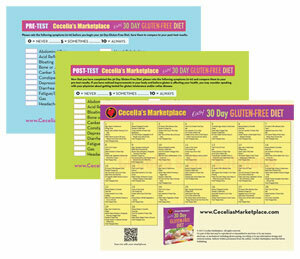 Need a daily menu plan to help you prepare gluten-free meals? This book includes all the necessary information to achieve a gluten-free diet. 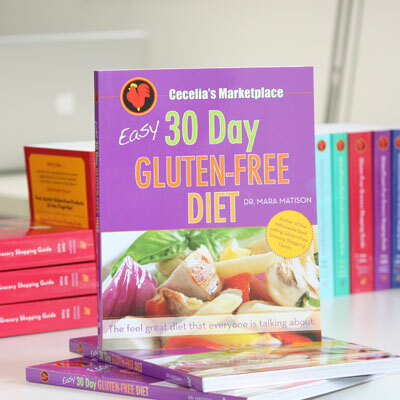 Cecelia’s Marketplace Easy 30 Day Gluten-Free Diet makes starting a gluten-free diet easy and headache free. It includes gluten-free breakfast, lunch and dinner choices, a mini gluten-free grocery shopping guide to help you grocery shop, gluten-free kitchen & cooking tips, 30 delicious gluten-free dinner recipes….and MORE!